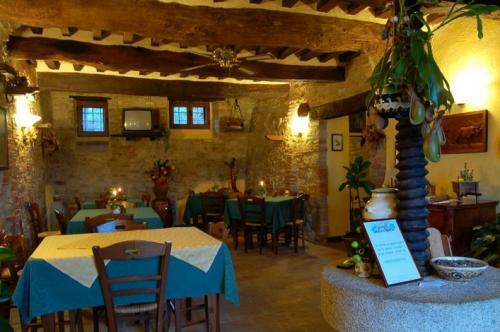 A holiday at the Casale dei Frontini is also the best way to discover the unique taste of Umbrian food, a traditional and healthy cooking which follows the old recipes of this land, using products of the farm, like Chianina beef and olive oil. Under the wooden ceiling of our restaurant (max. 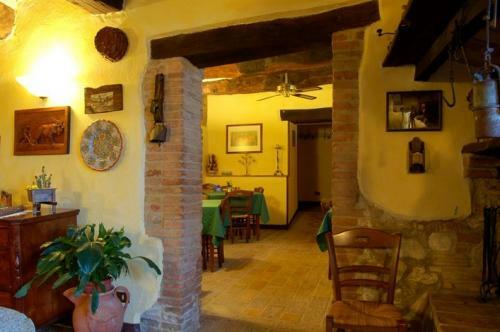 capacity: 45 people) you can try our tasty food and products coming from our land, from the homemade pasta “Tagliatelle al sugo d’oca” to the typical steak Tagliata di Chianina, from our spelt soup to the lamb and other typical recipes of the Umbrian tradition. You can also try our sausages, salami or cheese, drinking a good glass of local wine (Grechetto di Todi, Sagrantino di Montefalco, etc.). 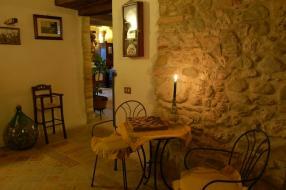 In the same dining room, in the morning, our guests have their breakfast, from 8.00 to 9.00 am. Here you can try our croissants, yogurt, cakes and homemade jam and honey. 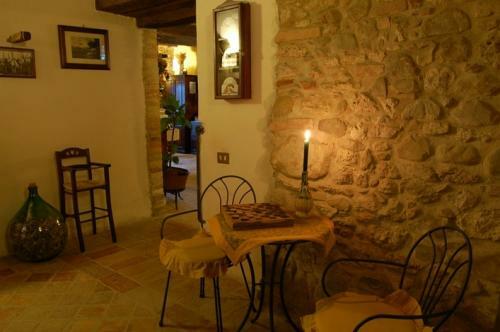 The Casale dei Frontini is also a restaurant for people who do not sleep in our structure, but just by reservation.